Next week, NCIS: New Orleans season 5 episode 20 is going to be bringing back a familiar face in Tom Arnold. So what sort of story is going to unfold around him? Think of one where someone close to Elvis Bertrand is in danger, and he’s going to have to court the help of Dwayne Pride to clear it up. Given that we’re dealing someone in legal jeopardy, we’re not so sure that Elvis is going to have time for some trademark Arnold one-liners. Instead, he’s gotta be okay to just stay out of trouble and let Pride do a little bit more of the heavy-lifting. It really feels like the more he gets involved here, the more trouble that he’s creating for himself. What does French Montana’s performance mean? Obviously, it means a good deal for him to get some exposure as an artist, especially to a demographic of people out there who probably aren’t altogether familiar with his music. For the sake of the show, though, it’s probably twofold. 1. It means that the case itself may be a little bit shorter, if the writers are filling up some time in the episode with a performance or two. 2. It means that we are back reestablishing music as a central part of this show and of New Orleans culture. For the better part of this season, we haven’t seen Dwayne Pride making a whole lot of music himself. We’re glad to be getting it from somewhere if we’re not getting a chance to see it from him directly (though we think that this time will come — there are still five more episodes to come this season). We suggest that you visit the link here right now! 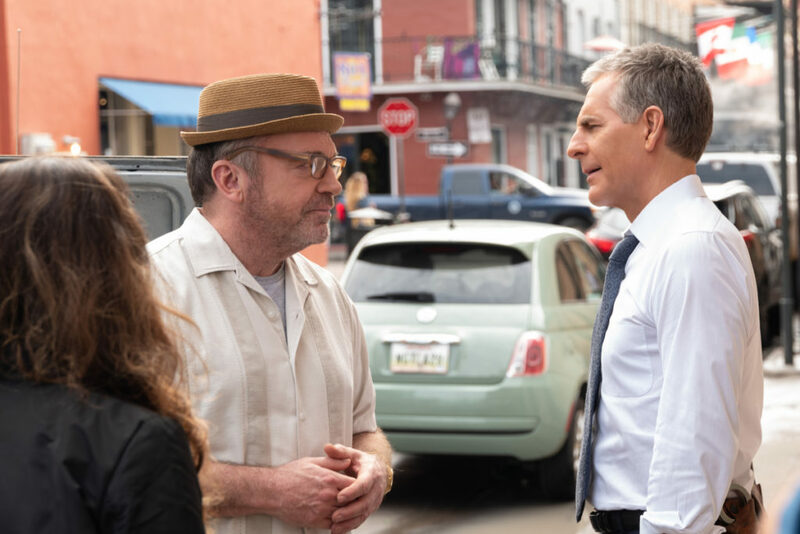 What do you want to see on NCIS: New Orleans season 5 episode 20 when it airs on CBS? Share now in the comments.